It is said that trekking in India originated in Himalayas as far back as eighty years ago. Deep valleys, covered with rich and luxuriant vegetations filled with a vast variety of flora and fauna promises that enthusiastic trekker a thrilling and unforgettable experience. The trekking routes offer a range of natural attractions, close views of snow capped mountain peaks and dense tropical and temperate forests. Go through our trekking programs, discover sublime Himalayan interiors unmarred by mankind and rejuvenate yourself... Trekking packages. For those with limited time wanting to cover more destinations the ideal way to explore North India is by road. We offer a Jeep Safari which combines passing over some of the world's highest passes and and breath taking landscapes. Our main attraction is our safari to Leh-Ladakh in the state of Jammu and Kashmir. A land of vast highland desert bounded by two of the world's highest mountain ranges, the great Himalayas and the Kara Koram. Known as the "Moonland", a trip trip to Ladakh is a once in a life time experience Jeep Safari packages. Camping is perhaps the best way to enjoy the wonders of Nature bestowed upon India. 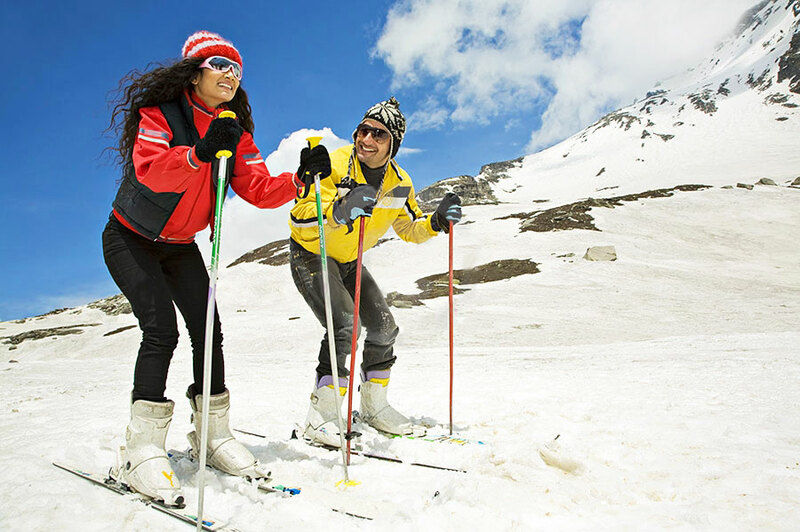 Enjoy the wilderness of areas such as Himachal and share the warmth of its people. Camping sites offer a number of homely facilities for those who are weary and for others we provide our own imported Eurohike tents. Services also include catering and a variety of activities like hiking, fishing, nature tours and rafting...Camping packages. It is comparatively a cheaper sport than Parachuting and Sky Diving which uses a semi-rigid wing made of fabric supported by a light alloy frame. For hang gliding the good places in Himachal Pradesh are Kangra valley, Dharamsala, Shimla and Kasauli. Tour And With Sweet Mamouris.